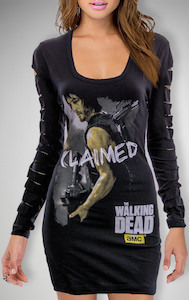 Are you The Walking Dead fan that always wanted to know how it would feel to wear Daryl’s vest? Stop wondering because you can get a copy of the famous winged jacket. It’s a fake leather jacket without sleeves but with the famous wings on it and the picture of course shows you how it looks when it’s clean and that is something Daryl rarely is. Now you can become Daryl as a dress up or just wear this amazing looking vest everyday of the week. You can get this Daryl Dixon costume prop in sizes Small – 2XL and yes this is an officially licensed Walking Dead product. 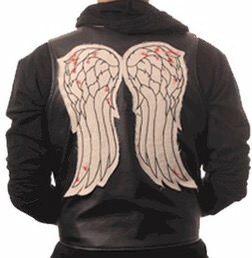 Become Daryl by order your own The Walking Dead Daryl Dixon Winged Vest.